The insightful Supercomputing Frontiers conference has a European edition. This year, the conference took place from March 12th to 16th, in the city where Golem was born, and where a large part of our tech team is based: Warsaw. 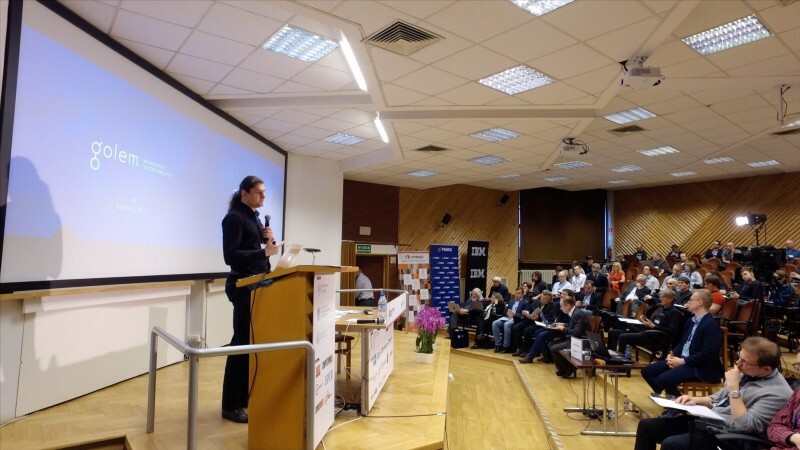 Since supercomputers are what inspired us and drove us to start this decentralised marketplace for computing power, it was a given to try to contribute as much as possible to the conference, and to make the Warsaw edition memorable. We invited the legendary Dr. Whitfield Diffie, father of modern encryption, to our city and to speak at the conference. With Diffie in town, Golem couldn’t miss the opportunity to chat with him. 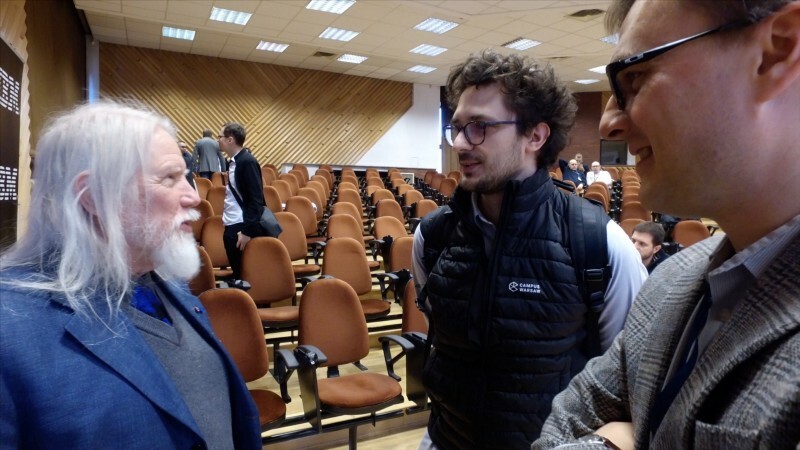 Chris (Business, Strategy & Partnerships), Julian (CEO & Founder) & Łukasz (Senior Software Engineer) didn’t think twice when the opportunity to have a spontaneous chat with the great innovator came up. “I think I like the child, security techniques were born to live in the environment of trouble. I have lived through everything. The 70s and an actual development of the ARPANET. I was an early ARPA user and all of that! But the mix of players is now so different, because everything now is done by start-ups or at least lots of it. In that time, it was done by universities and established companies with backing from a National science foundation. Blockchain adds to the technology itself. When I first read about Bitcoin eight years ago, I was very impressed. Scholars had failed for 30 years to succeed in doing something that challenged the banking system, and the blockchain techniques do. For those who are not acquainted with the history of the internet, ARPANET is short for Advanced Research Projects Administration, which was the first network to implement the protocol suite TCP/IP as well as an early packet switching network. In short, ARPANET can be considered the grandfather of the modern Internet. At the same event, Golem’s Lukasz Glen presented our latest news on the development of the Golem Project as well as his talk on distributed calculations in heterogeneous untrusted networks. Diffie attended Lukasz’ dissertation, and seemed very interested by it. “We are honored to support the Interdisciplinary Centre for Mathematical and Computational Modelling (ICM) in their effort to bring Supercomputing Frontiers and such great speakers to Warsaw. As the decentralised space grows and matures, we need to strive for more opportunities to work alongside more traditional businesses and institutions. I firmly believe that in the case of ICM, we will be able to learn a lot from each other and I am hopeful about possible future collaborations.”, mentioned Julian. This event was not only fruitful due to all we mentioned, but also because it helped reaffirm our convictions and our drive to continue contributing to the decentralized vision through cooperation.